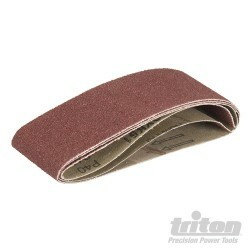 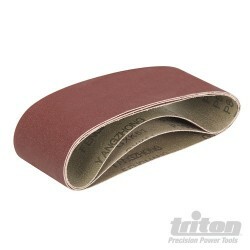 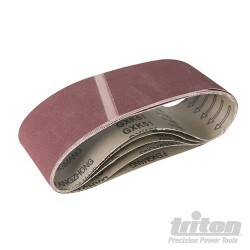 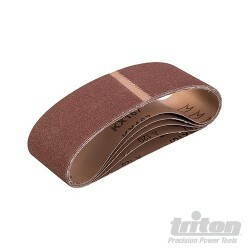 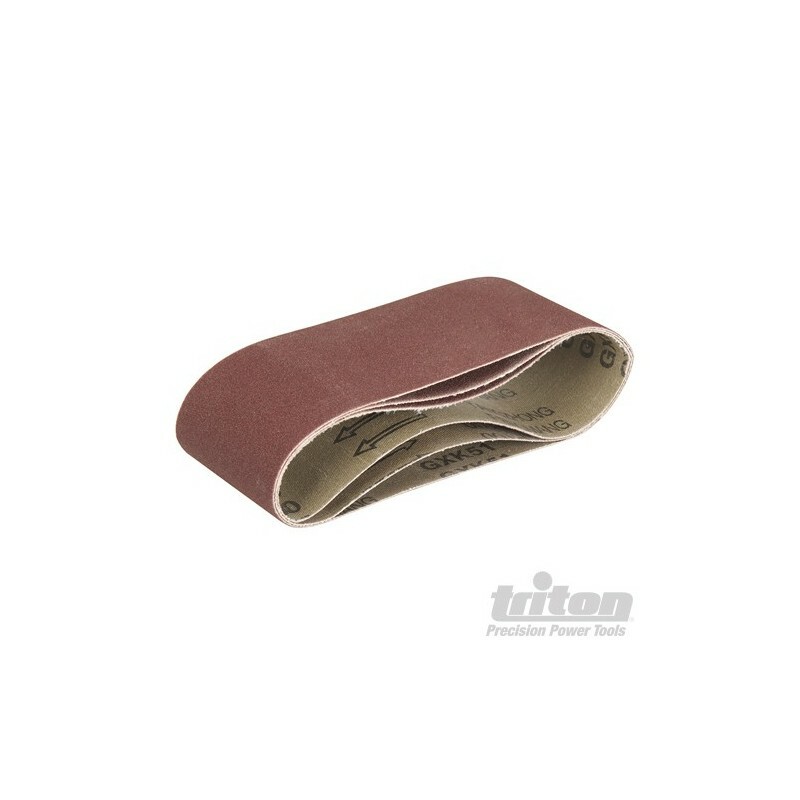 High quality sanding belt provides outstanding life and durability. 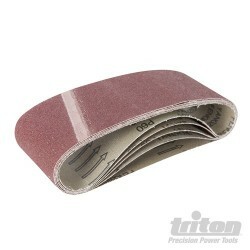 Made with aluminium oxide grain with epoxy resin for load resistance. 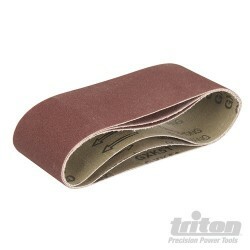 Strong polyester X-weight backing. 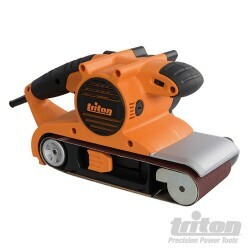 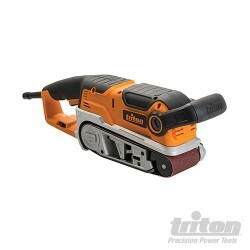 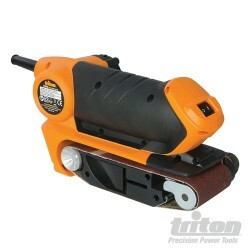 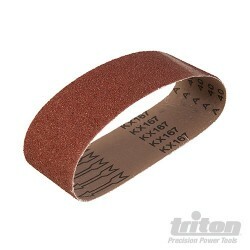 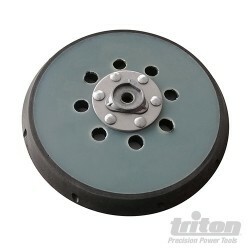 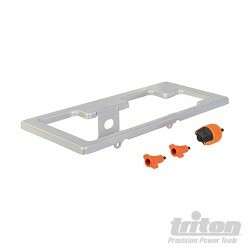 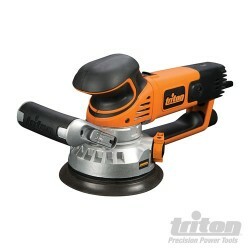 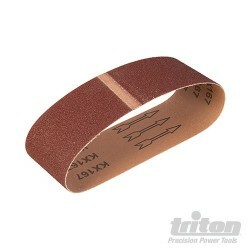 Compatible with Triton Palm Belt Sander TCMBS for rapid stock removal.